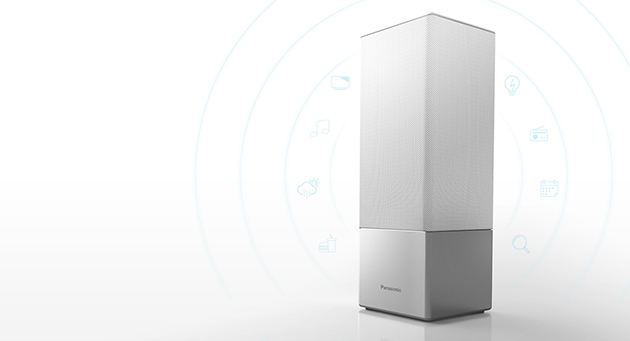 Panasonic delivers a Smart speaker with music lovers in mind. In an increasingly complex market filled with smart speakers of all shapes and sizes, it can be a gigantic technical minefield to find the one that’s right for you. Alexa or Google? Sonos? Apple? Which brand is the right choice for you? 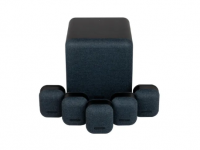 A key choice here between choosing a smaller ‘assistant’ speaker such as the Google Home Mini or Amazon Echo Dot and their larger counterparts usually comes down to sound quality and volume – something they don’t always manage with the greatest gusto. 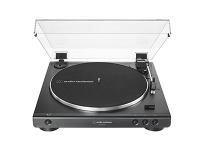 To this end – in Google’s corner is the Panasonic SC-GA10. The model number may not be the sleekest of branding to roll of your tongue – but its appearance and performance is definitely enough to recover that. Coming in either a black or white fabric finish for the top three-quarters of the unit and a rather fancy brushed aluminium plate for the bottom section, the unit is suited very well for those who don’t want their speaker to look like a speaker. The design is geometric and minimalist so if you don’t need everything to have smooth, rounded edges like some of its peers, it will fit into your home nicely. In terms of interface – it’s a little more complex than, say, the Google Home (which only has the barest of controls). This may not necessarily be a bad thing for you however: you have the option to turn up or down, standby and skip forward or back on tracks. With this design, it means you’re not constantly having to flip your phone out or talk to your speaker every time you want to change the little thing. That said if you still want to use the voice control to its fullest – crack on. To keep the unit as trim as it is, the power supply has been housed in a separate brick. It might not be ideal if this is going on a worktop and you can’t hide it – however you’ve got the option of a 3.5mm jack here, something precious few competitors will offer you. On the inside, there are two soft-dome tweeters, each with a silk diffuser that opens at 45 degrees to the left and right. This is aimed at being able to project sound across a wider arc, meaning there’s less fuss needed on placement. Bass is handled by an 8cm woofer with twin voice coils, as well as a long reflex port to help ‘throw’ the sound further. With this design it means this slim speaker sounds anything but, giving it a big boost over the competition – it’s definitely speaker first and assistant second in this case. 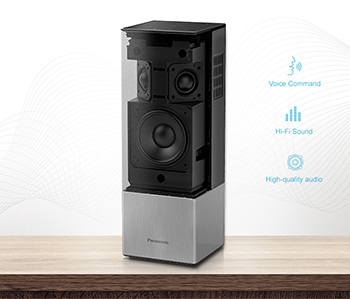 You can also pair up these speakers for stereo sound if you want an even further boost in quality from this series. This doesn’t make it any less smart however, with everything you’d expect in the Google Home series such as Chromecast, Google Assistant and control of smart home features via Hive and Philips Hue all present here. All your streaming services such as Spotify, Pandora and TuneIn Radio are ready to go as well. 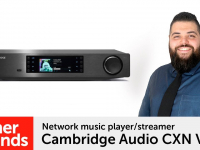 Panasonic may not have the same clout as brands such as Sonos or HEOS in the multiroom world – but it has not held them back with their multiroom app. 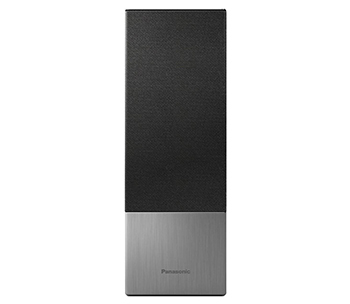 Should you like the design of Panasonic’s speaker, you can buy several items in their range and add them to your home in the same manner you would with Sonos, all controlled with a simple and intuitive app. 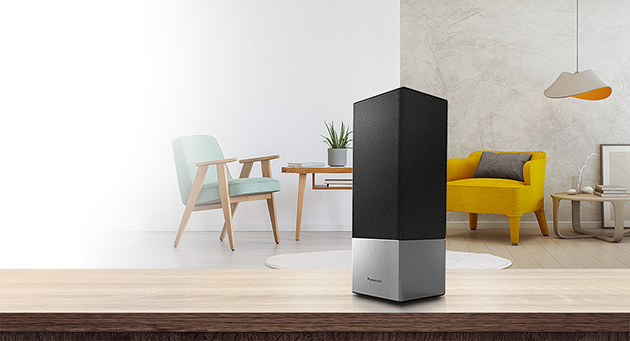 To see this dedicated and creative solution to the massive range of smart home speakers out there at the moment, head on down to your local Richer Sounds for a demo of this impressive Smart speaker. Will it work with the previous SC All wifi speaker range? Are there no wifi connection failures with GA10? While there’s no complete guarantee against network dropouts, a Wi-Fi connection is much stronger than a Bluetooth connection.